Last month, the famous horse, Misty of Chincoteague, received spotlight treatment here on this blog. I shared about her birth, how she came to be beloved by children all around the world, and how her name lives on in books penned by Marguerite Henry as well as in the movie that was made based on the book and the museum established on the island. 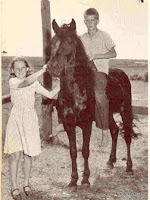 If you missed last month's post, you can view it here: http://www.hhhistory.com/2016/04/misty-of-chincoteague-world-famous-horse.html. 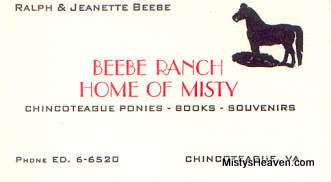 To showcase the Beebe's connection to Misty of Chincoteague, you really need to begin with Clarence Beebe, the grandfather from the books. He was born on Chincoteague Island in 1884, four years before the woman who would become his wife in 1906 (Ida Virginia Whealton). Ida also was born on the island, and they both are buried there as well. They had ten children together, but only six of them survived beyond infancy. 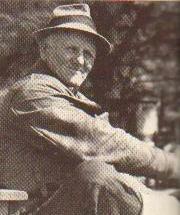 As the owner of a horse ranch on the little island, Clarence became known as the "Chincoteague Pony Man." He developed a solid reputation for breeding and gentling ponies from Assateague which he purchased during the annual Pony Penning Day events. Although the book and movie portray Paul and Maureen Beebe as living with their grandparents, that part is fictionalized. 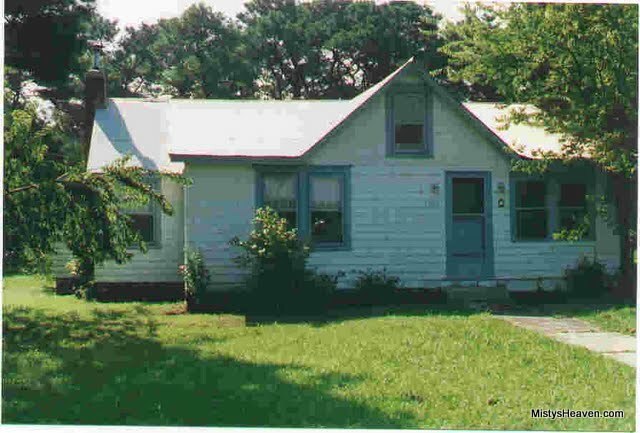 The children lived with their parents, but spent a lot of time at the Beebe Ranch. When Marguerite Henry visited the island and met the children, she asked them what they wanted most. They told her they wanted to own a real pony. Grandpa Clarence owned many, but he purchased them to sell. He never kept them long. Paul and Maureen wanted a horse of their own. Misty ended up being that horse. Clarence and Ida had already purchased the Pied Piper and Phantom, and from them came Misty. They operated their busy ranch and were well-known on the island, but their claim to fame came when author Marguerite Henry arrived and witnessed the Pony Penning events, then decided to write about the wild ponies. 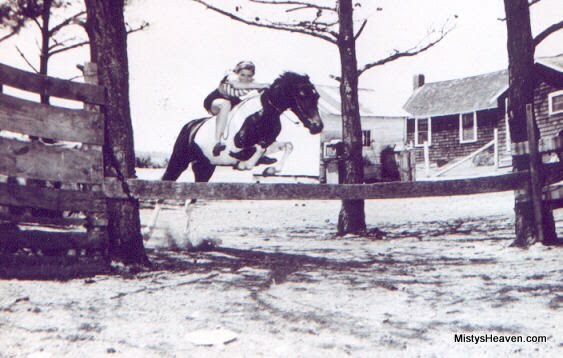 Through an agreement with Clarence Beebe, Ms. Henry purchased Misty for $150 and had her sent to Illinois for a few years before returning her to Chincoteague when Misty was only 11 years old. 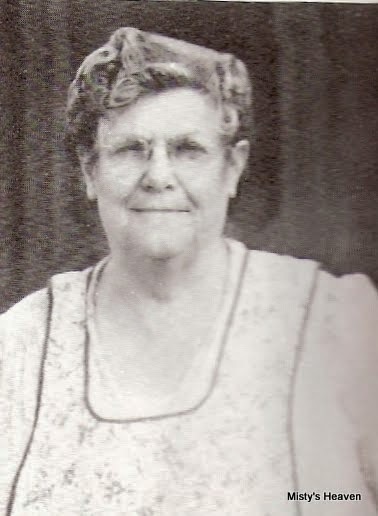 Misty went on to foal several horses, and her domesticated status allowed her to remain at the BeeBe Ranch where the Beebe family cared for her and her foals. Since Clarence died not long after Misty was bred, Ida asked their son Ralph to take over Misty's care. Ralph and his wife Jeanette took over Beebe Ranch and continued Clarence's legacy. Their son, Billy King Beebe, turned the ranch into a museum and opened it to the public in 1999, and it's been open every summer since. The barn with Misty's and one of her foal's (Stormy) stalls is also on the premises. Memorabilia of the family and the horses they raised is on display at the ranch. What began as a simple island man with a dream turned into a legacy that's enchanted hundreds of thousands and spanned several generations. 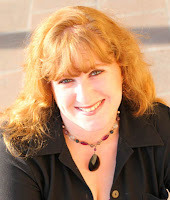 * What legacies exist in your own family that have been passed down through the generations? * Have you ever read a book that was a fictionalized account of real life in some way only to later discover the "facts" presented in the book were a result of the author's creativity and didn't really happen that way? What was the book and what did the author change? Leave answers to these questions or any comments on the post below. Next month, I'll be sharing about my grandfather and his direct ties to the island of Chincoteague. Come back on the 9th of June to find out more.